The perfect guest to your special day, our team is available for a variety of services to make your big day even more magical. 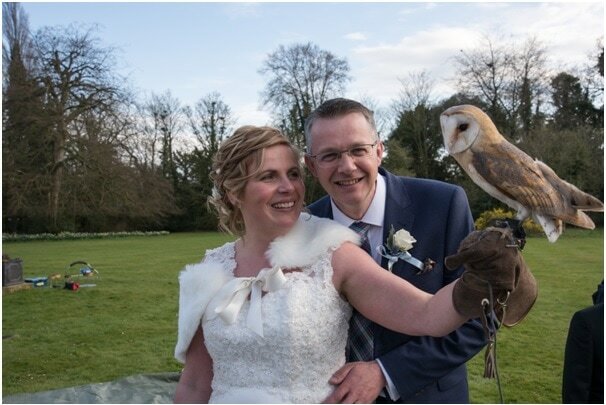 Our beautiful birds can be presented at your chosen venue to welcome you and your guests. 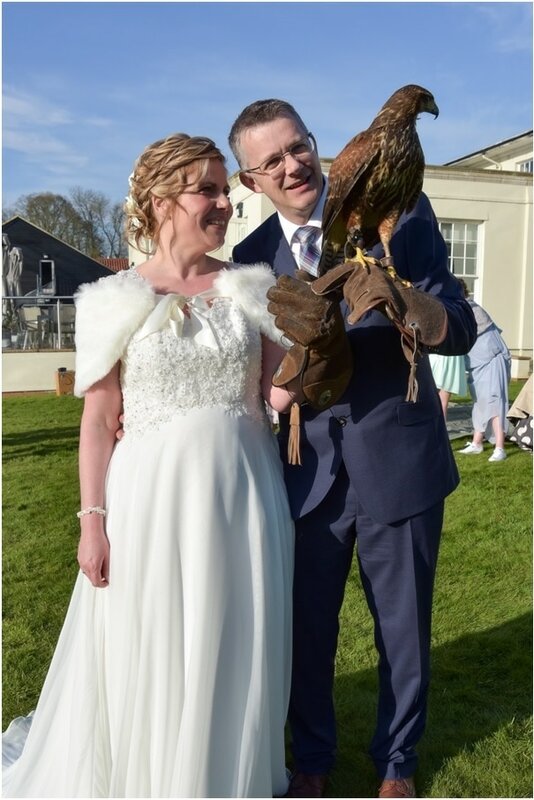 During the day the birds can be handled by the guests and can be held in order to create the perfect wedding photographs for you to treasure. The team will be on-hand to talk about the birds and discuss any questions you may have. For those looking for a spellbinding and memorable experience, we recommend our ring bearing services. Currently we have three birds (a barn owl, ashy faced owl, and Harris hawk) available for this service. 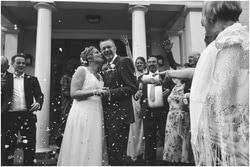 Enjoy the elegance and beauty of your bird of choice as they fly to you down the isle to you and your partner. Having flown to the glove, the rings can be taken, and the bird sent swooping back down the isle, before continuing the service. In order to provide you and your guests with exciting entertainment, we can perform an informative display that gets the audience involved as well. A display includes birds of prey from around the world, a talk on each of these birds as they are flown around the audience, with chances for members to come out and fly the birds themselves. We also enjoy getting the audience to partake in the "dummy bunny run", where volunteers take the challenge of outrunning our young Harris Hawk. Our displays are sure to entertain everyone of all ages.